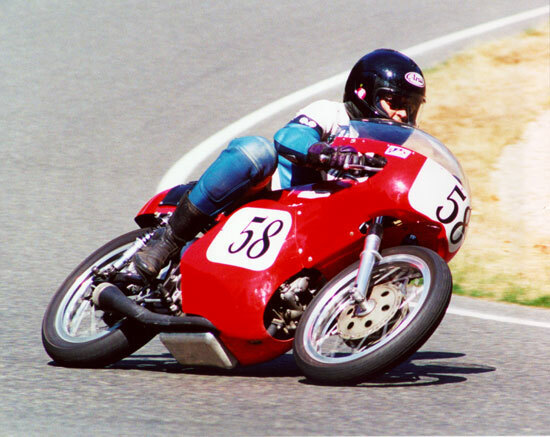 Aermacchi ala d'oro Story by Paul BrodieFlashback Fabrications Ltd.
. . . is a lot about my evolution and progress as a bike fabricator and road racer. 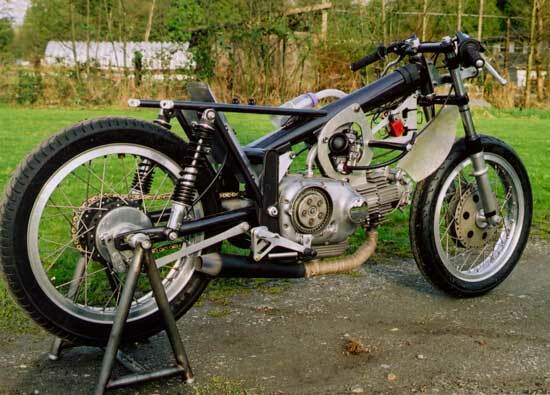 This 1972 350 Ala d’Oro Racer Replica was one of the best bikes I ever owned and raced. It was a lot of fun chasing the slower 750’s! I never had a name for this bike, but for sure there is a story. . . CLICK HERE to find out how it all began. Exiting Turn 4 at Seattle, 2002. Photo Courtesy Phil Tanner, tel 360-693-8740. Email tanphi@juno.com.